In the autumn of Tohoku, the color of autumnal leaves becomes brilliant because the temperature difference between day and night is large. Early transition to autumn is one factor that makes autumn leaves beautiful. There are many beech communities which are colored from yellow to red as a whole, and you can see the whole mountain glowing with autumn leaves everywhere. With many famous historic hot springs, it is an area that makes it easy to combine sightseeing plans with hot springs and drives. 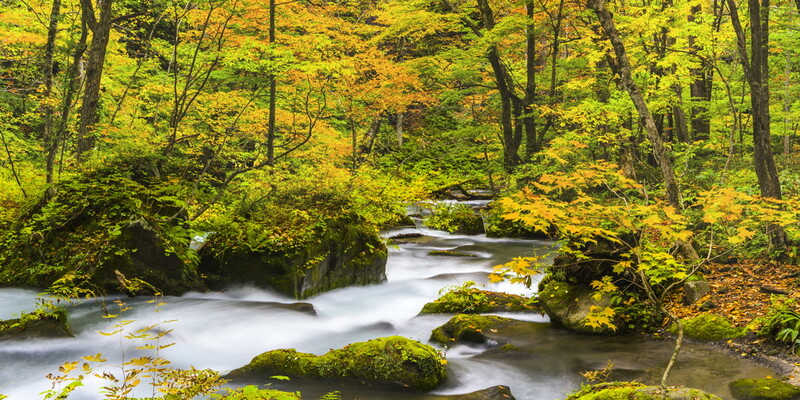 From Nenokuchi of Lake Towada to Yakeyama, the Oirase stream runs for about 14 km and you can interact with nature woven by rich forests there. The forest made up mainly of beech is dyed in golden color, the red color of maple and Yamamomiji give brilliant accents. The scenery from the promenade along the mountain stream changes from moment to moment and the highlights can not be counted. 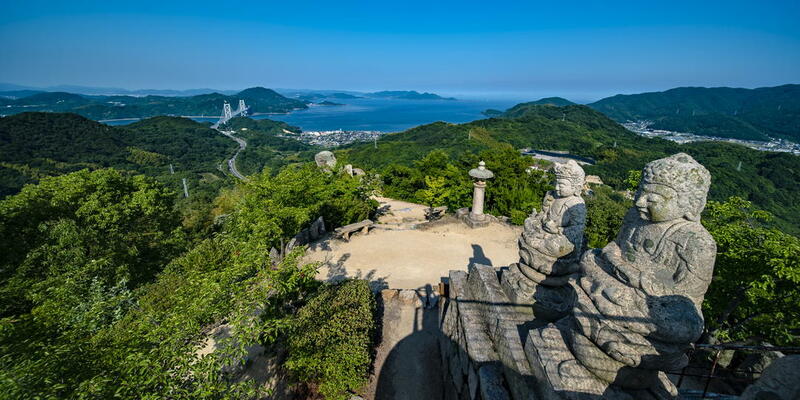 Among them, there are spectacular scenic spots representing the Oirase stream spread out around ""Choshi Otaki"" about 30 minutes from Nenokuchi. In addition, the Oirase stream is also known as a treasure trove of a wide variety of moss. In Oirase in autumn, the contrast between moss green and autumn leaves is beautiful, the scenery with maple leaves fallen on the green moss carpet is exquisite enough to make you feel like seeing it forever. Hakkoda mountain peaks standing in the northern part of Towada Hachiman National Park. With Mt. Otake of an altitude of 1585 m as the main peak, more than 10 mountains rise majestically. By using Hakkoda Ropeway, you can arrive from the Sanroku station to the mountaintop of Hakkoda-san Tamoyachi-dake only in 10 minutes. When you look down from the ropeway, the peaks are covered with red and yellow colors of beech, Japanese oak, maple and birch, and you can enjoy the overwhelming landscape of the whole mountain glowing with autumnal colors. A nature trail called Hakkoda Gourd Line runs from Sancho station and you can explore the Tamoyachi Mash in the autumn color. 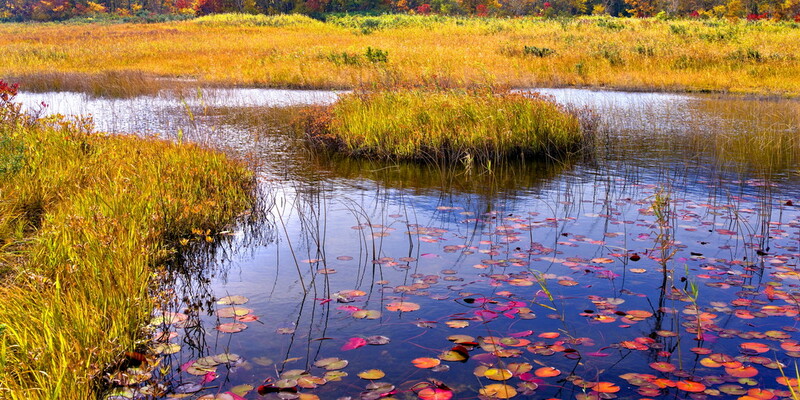 The landscape of the wetlands against the peaks dyed in brocade is beautiful like a picture scroll. 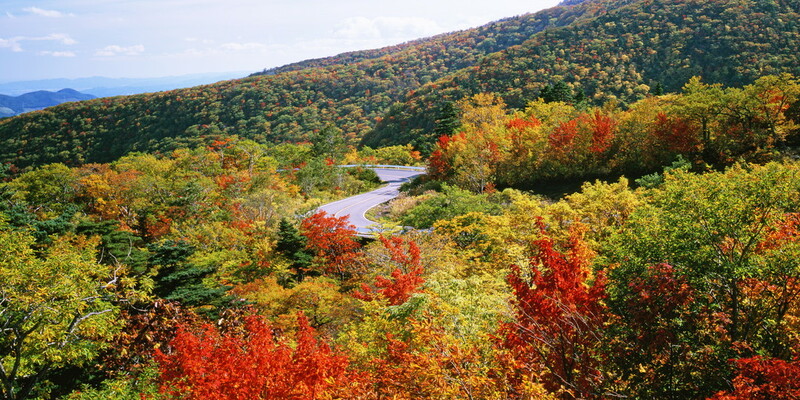 【Bandai Azuma Skyline】 Mountain sightseeing road where autumn leaves landscape shifts due to difference in altitude. 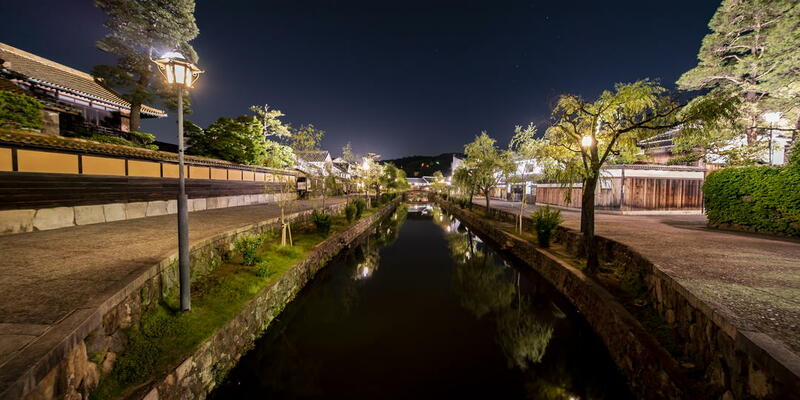 Kakunodate located in a quiet basin surrounded by mountains on three sides. 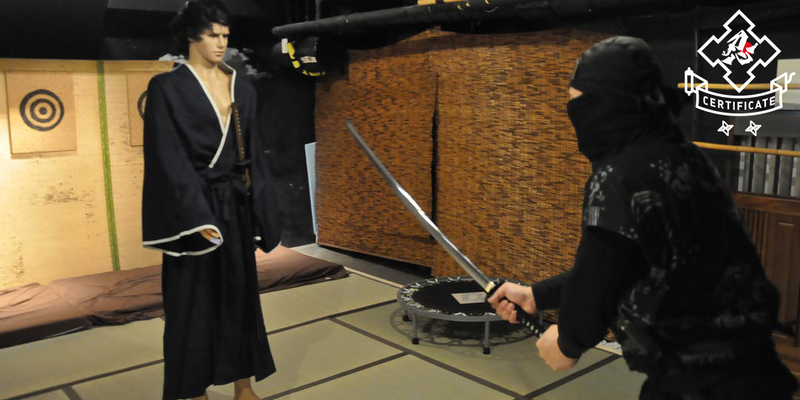 The town layout of the clan government era still remains, and traditional samurai houses and machiya convey the past appearance. In 1976, it was selected as an important traditional building group conservation area. In autumn, autumn leaves color the cityscape, and the streets are enchanted with gorgeous and graceful Japanese atmosphere. Brilliant autumn leaves of Yamamomiji, maple and ginkgo shine on a black board fence, and in the vicinity of the samurai houses, you can enjoy walking on the streets with a taste of slipping back in time. Bukeyashikidori is lighted up at night in the autumn leaves season, which further enhances the taste of the old town. 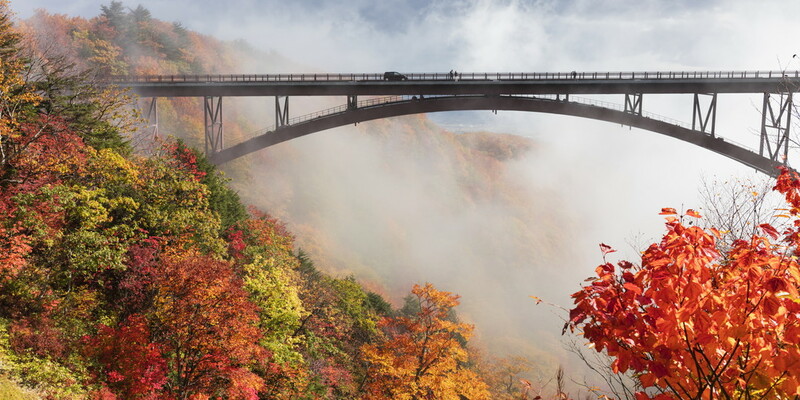 Zao Echo Line is a mountain sightseeing road with a total length of about 26 km connecting Yamagata Prefecture and Miyagi Prefecture. You can enjoy the mountain drive in the deep forest while crossing the Zao mountain peaks in the Ou mountain range from east to west. In autumn, autumn leaves are bright in color on the hillside of the Zao mountain peaks, and beech, maple, Japanese oak and white birch dye the path red and yellow. If you go a little way further to the Zao High Line of the toll road from the Zao Echo line, you will find a mountain top crater lake ""Okama"" of the Zao symbol. The mysterious lake water of emerald green contrasts beautifully with the surrounding rocks and shrubs whose leaves turned red. 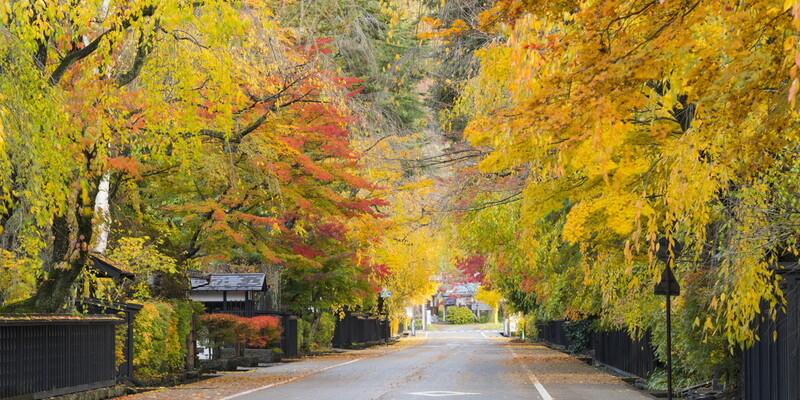 Also, there are famous hot springs such as Zao Onsen and Kaminoyama Onsen at the foot of the mountain, and you can also enjoy strolling through the spa town colored by autumn leaves. A sharp gorge, Narukokyo with its steep cliffs of about 100 m in height stretching for about 4 km. 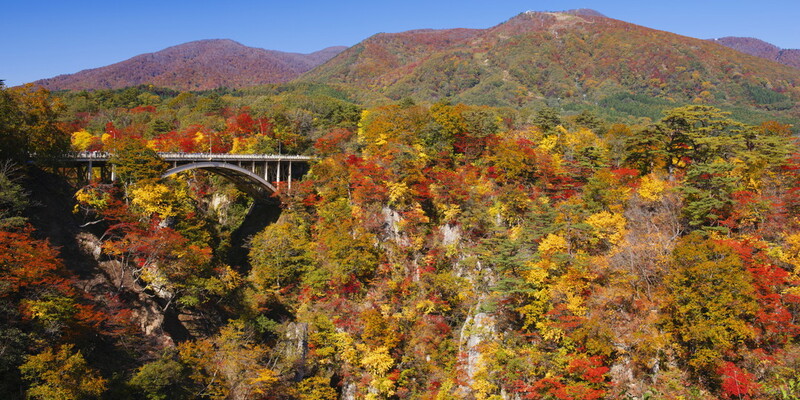 In the whole area, Urihadakaede, Koshiabura, Quercus crispula are colonized extensively, and dye the entire gorge colorfully in autumn. A wide variety of deciduous broad-leaved trees mingle together exquisitely and attract visitors when they look from far away or up close. The viewpoints are Ofukasawa Bridge over the gorge and the observatory in the Narukokyo Rest House. In the vicinity of Ofukasawa Bridge, Ofukasawa promenade continues for about 2.2 km and you can enjoy walking around the gorge while being surrounded by autumn leaves. The famous hot springs such as Nakayamadaira Onsen on the upstream side of the Naruko Gorge, and Naruko Onsen on the downstream side give off steam, and you can enjoy visiting hot springs of different spring quality in the area. Mt. Kurikoma,the main peak of Kurikoma National Monument Park rising in the center of the Tohoku region. 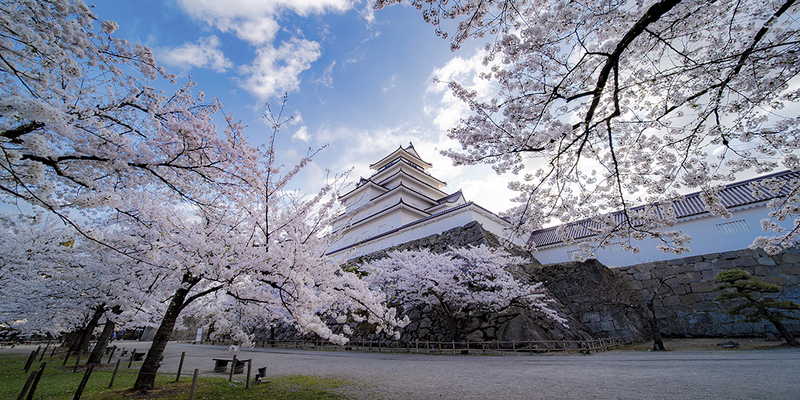 Also known as the Queen of the Ou Mountain Range, the summit of altitude 1626 m is the boundary between Miyagi prefecture and Iwate prefecture. The gentle hillside is covered with autumn leaves such as beech, Quercuc crispula and the maple species, which is said to be one of the most beautiful colored mountains in Japan, and the landscape is also called the""Carpet of the God"" as the whole mountain glows with autumnal colors. 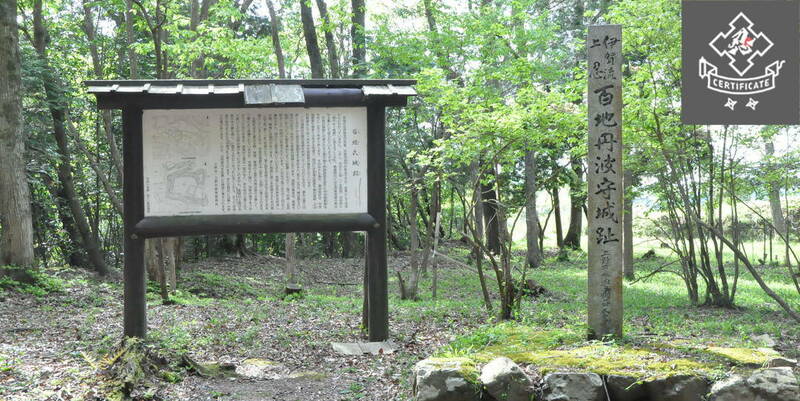 In order to enjoy the autumn leaves of Mt.Kurikoma, it is common to aim at the summit by walking on the mountain path. There are nine climbing roads depending on the level in Mt.Kurikoma, and even beginners can take the routes such as the Chuo course, the Higashi Kurikoma course, and the Sugawa course. The whole mountain view of autumnal leaves looking down from the mountain path, and the panorama of Gassan, Chokaisan and the Zao mountain peaks from the summit are spectacular. Also, if you enjoy autumn leaves by car, there is also a drive course that goes round the foot of Mt. Kurikoma. It is a spectacular scene even if you just look up from the foot of the mountain, but we recommend walking on the mountain path with climbing equipment if you want to experience the “Carpet of the God”.